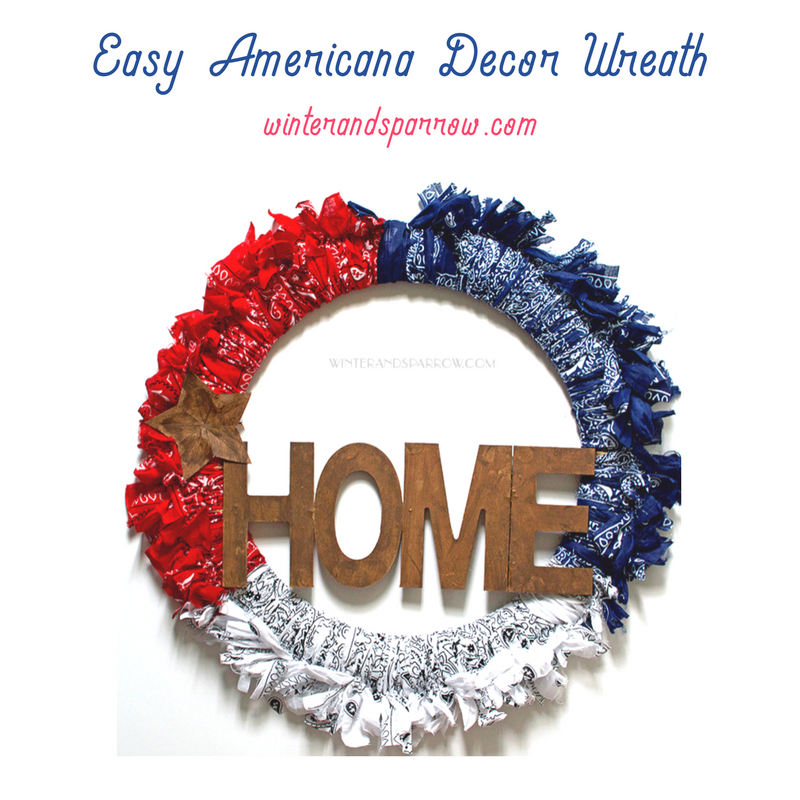 I made this wreath a few weeks ago while I was recovering from surgery and let me tell you, it’s an easy one to make. If you can use a pair of scissors and tie knots, you’re going to ace this. 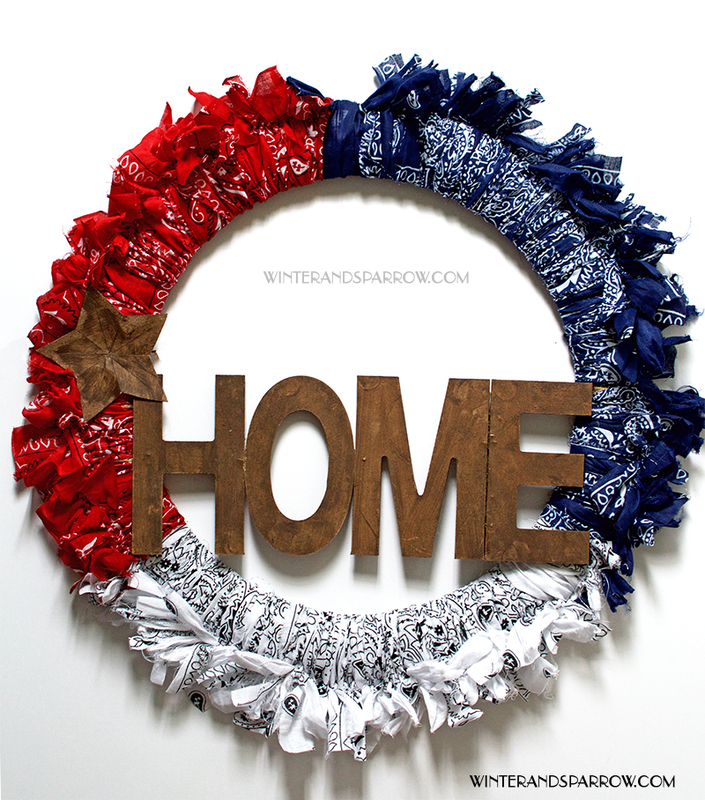 Because I think the United States of America should be celebrated year round, I’m not calling this a 4th of July wreath. It’s more Americana–primitive, rustic, made by hand, and suitable for display year round. 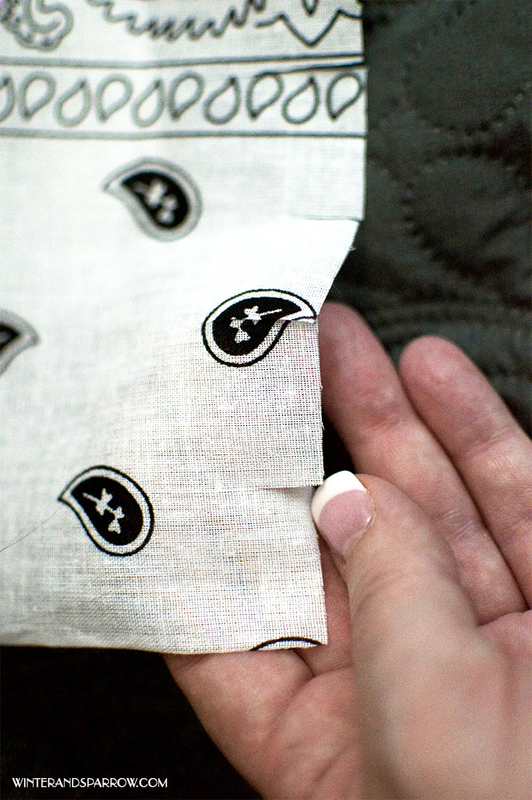 Once you’ve made your slits, start at the end and tear your bandana into strips (no photos of this process). 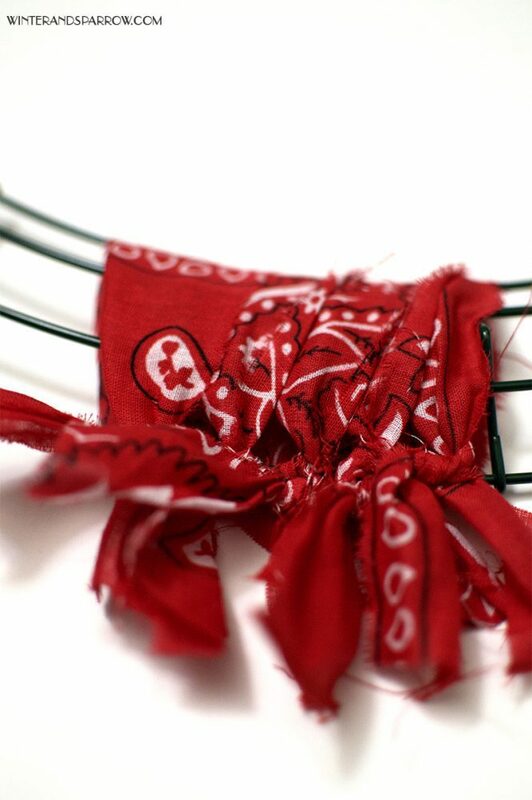 Think of it as tearing up a rag. 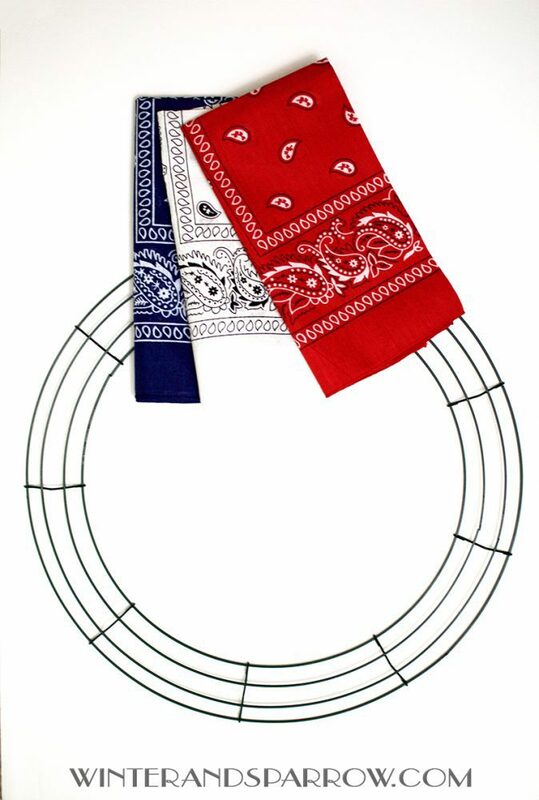 Anyway, those strips from your bandana will be what you tie on the wreath. It’s as simple as tying them on and making a knot. I separated my red, white and blue into sections but if you want to mix yours up, feel free. 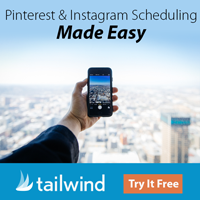 The color pattern is up to you. Here’s another photo of how my strips look on the wreath. You can see that I’ve left the loose threads intact because this is a primitive, vintage-vibey wreath. 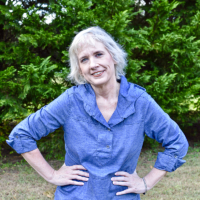 If the loose threads bother you, just trim them off. 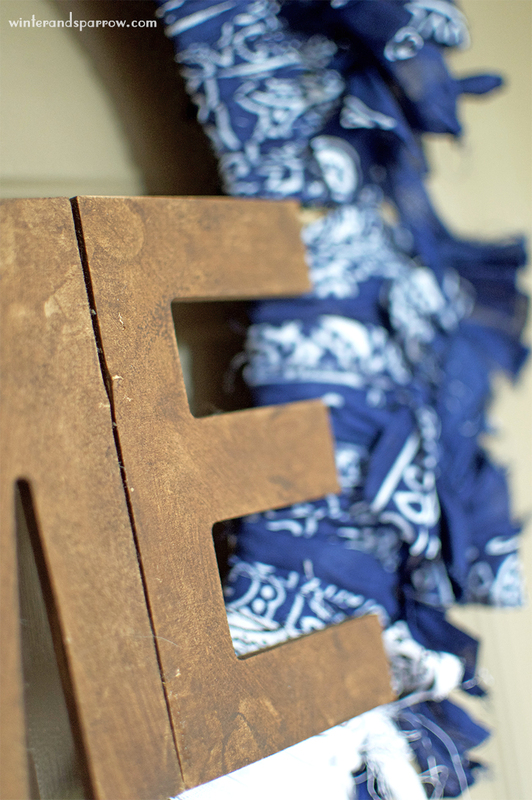 Now it’s time to add a warm and worn look to our wood letters. 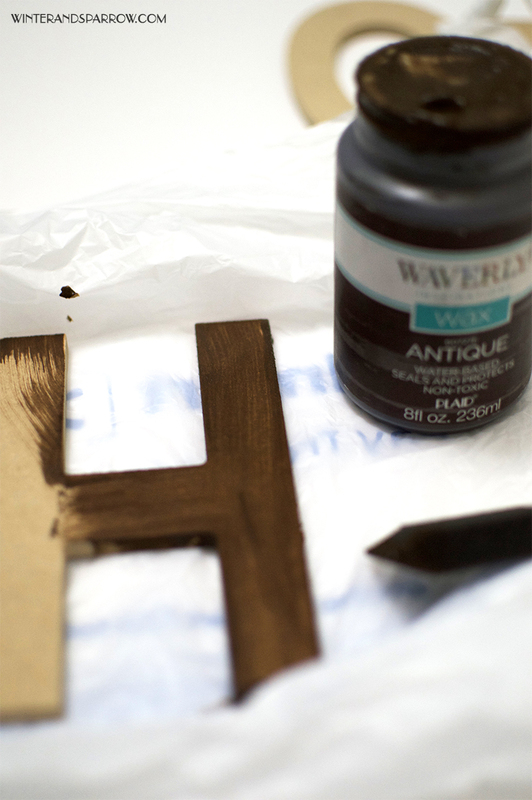 Apply the Waverly Paint (Antique Wax color) to your letters–front, back, and sides. 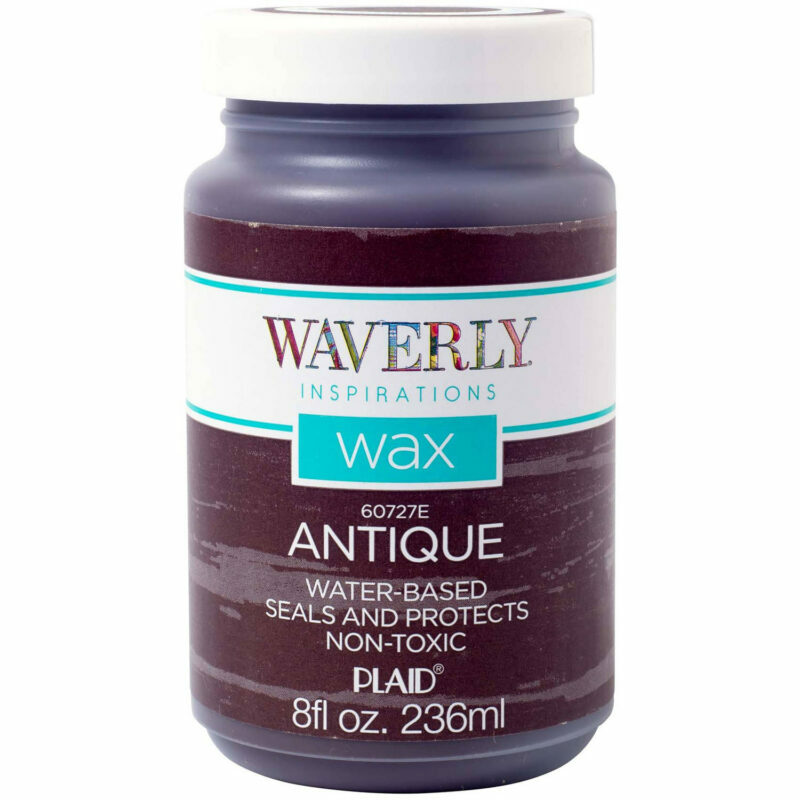 This is one of my favorite paints for giving projects a faux wood look. I used this same paint when I made my bathroom wall organizer. Once your letters are dry, hot glue the edges together. In other words, hot glue the edge of “H” to “O” and the edge of “O” to “M” and the edge of “M” to “E”. Next, cut a piece of twine about two feet long. 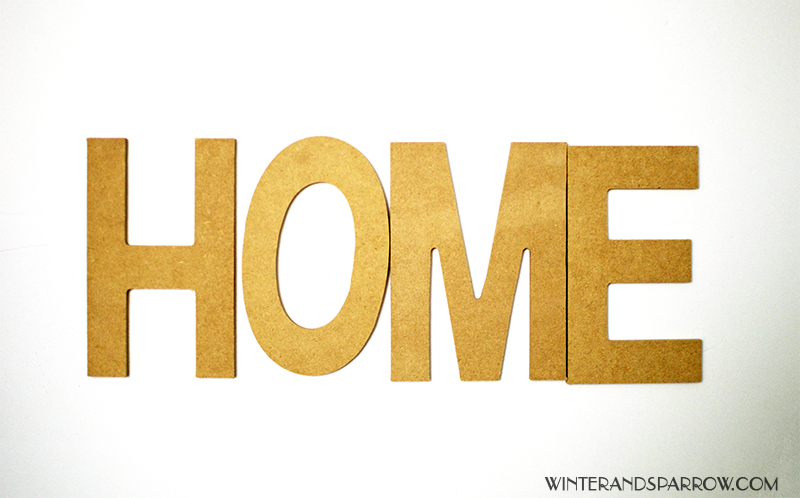 Flip over HOME and hot glue the twine on the back of the letters leaving about six inches of loose twine on each side (of HOME). You need those six inches to wrap around your wreath so you can hang up HOME. If you look closely, you can see the twine wrapped around the wreath (next to the letter E). 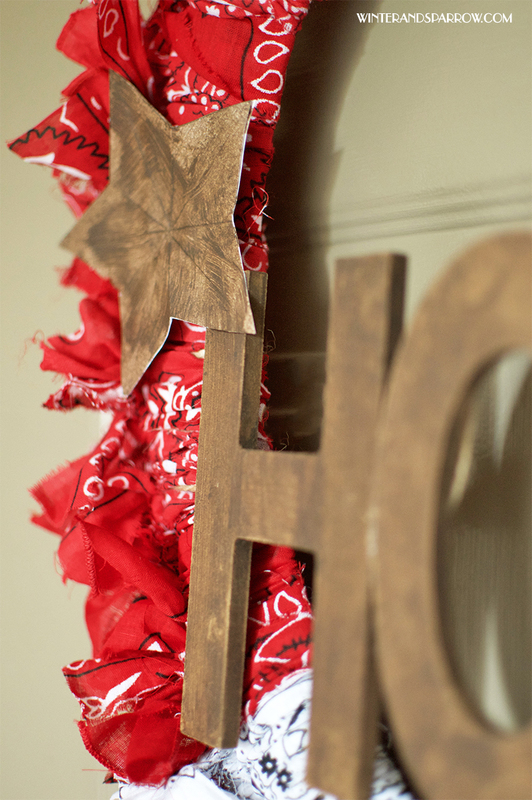 Twine is also wrapped around the wreath near the letter H.
If you’d like to make the rustic star (shown in the photo below), use the free template to print out on cardstock, cut, and paint with the Waverly Antique Wax color. Secure the star on the wreath with a dab of hot glue. 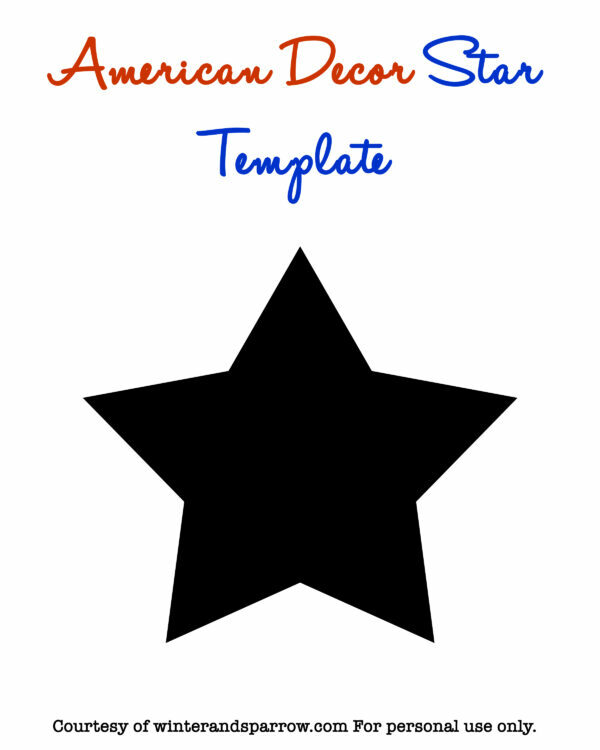 If you’ve enjoyed this Americana Decor project, we hope you’ll give it a share on social media. Your support means so much to us! Happy summer everyone! I like the different styles and creativity of the Fall wreaths. Thanks for the detailed how-to! 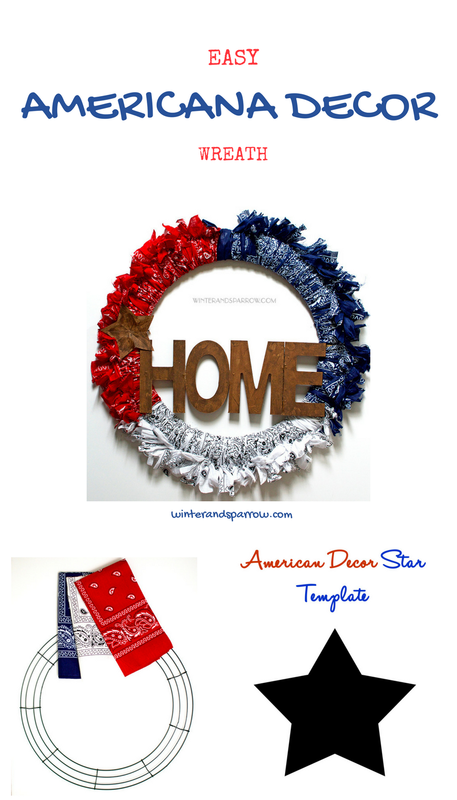 What a nice way to show one’s American pride while enjoying a craft activity with the family. 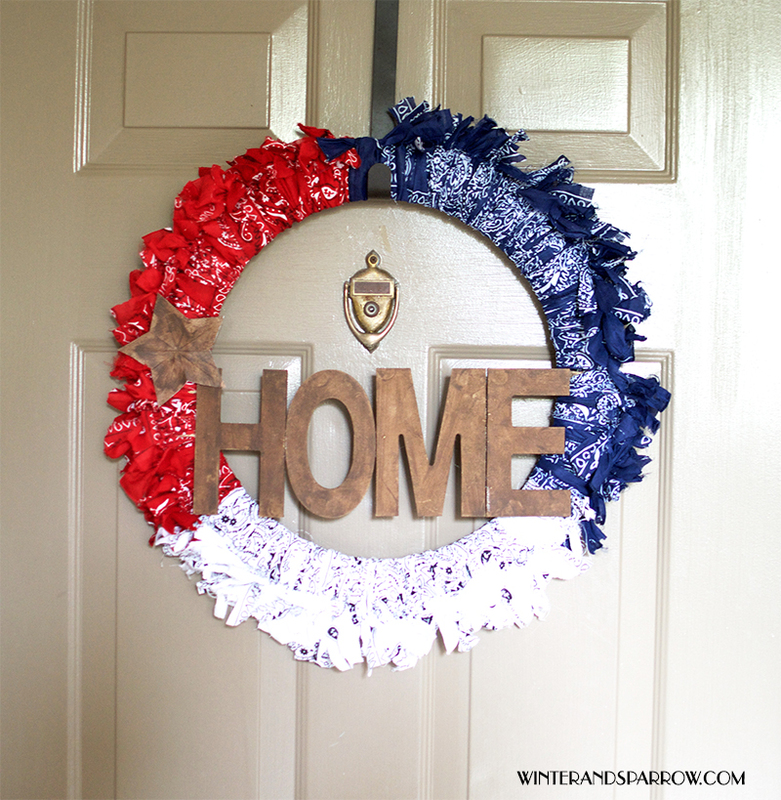 I LOVE making rag wreaths and this one is super cute! 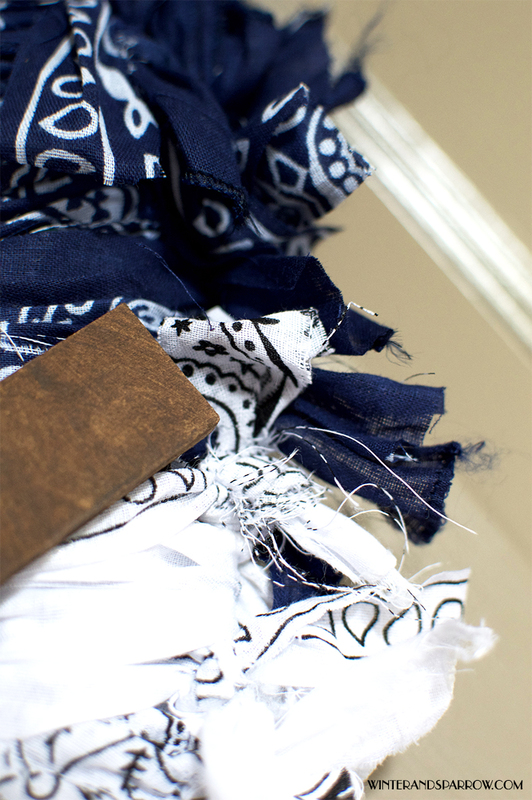 I’ve seen many of these types of bandanas at the dollar store and they’d perfect for this project!